Die Krupps was one of the first pioneers of electronic and industrial music alongside Einstürzende Neubaten in the early 80s. Die Krupps’ first release was 1981’s Stahlwerksinfonie, a 30-minute musical monolith of metallic sounds, electric guitar, saxophone, shouts, a monotonic bass line, and a motorik beat. 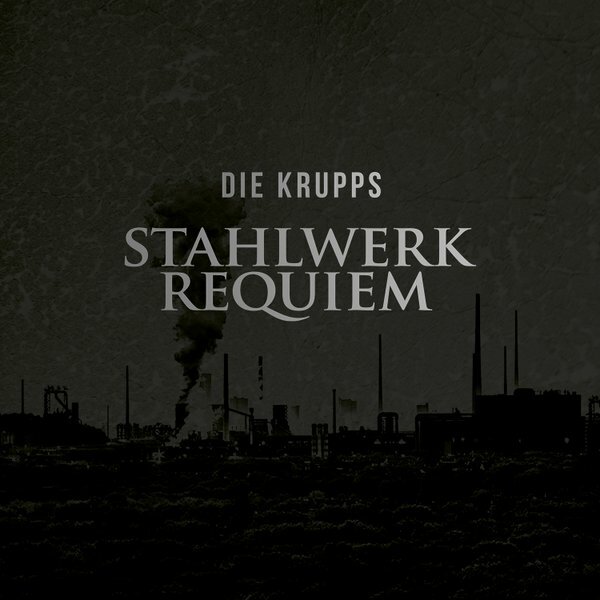 35 years later Die Krupps decided to revisit and update this landmark effort with Stahlwerkrequiem. And what better way to make this statement than to include kindred spirits Mani Neumeier (Guru Guru), Jean-Hervé Peron and Zappi Diermaier (Faust), Kurt Dahlke (Pyrolator and Der Plan), and US post-rock musician Scott Telles? So how best to characterize the two tracks: “Reinhausen” and “Westfalenhütte?” Think of Acid Mothers Temple on tranquilizers. Both tracks are driven by hypnotic and monotonic bass lines, which almost sound like loops. I cannot imagine someone playing the same bass note for 24 minutes without varying. The bass lines hold both compositions together, but everything else happening is anything but rhythmic and controlled! There are dissonant guitar passages much like Peter Frohmader’s work, metallic percussive sounds, and crashing chords that all collide and recoil. At times the music is almost psychedelic / progressive with a Frippian feel to it. Then once or twice it even resembles Morgan Fisher’s Hybrid Kids Claws. If you like experiments with controlled chaos, then you will enjoy Stahlwerkrequiem.